Formed in Lima in the late 1960’s by Nelsón Canevello Pardo, who served as the group’s director and lead guitarist. Truly a family affair, the group further consisted of Nelsón’s brothers Fernando (AKA Papi) on backup guitar and bass, Reynaldo the timbalista, Germán on the guiro and maracas, and Juan played the bongos at the tender age of 11! One member of the group was not a brother, but according to the liner notes of the first LP, he was considered as such, tumba and quinto player Pancho Lema. Based off of photos on the albums it appears Pancho was replaced by the time the third LP was released but I can’t confirm this. Shown here with a new tumba player? The group signed with Fabricantes Tecnicos Asociados (FTA) in the latter half of 1969.I know the group had their own label CANPAR (CANevello-PARdo) but I’m only familiar with Los Ecos release on the label. If you have any other tracks released on the label please let me know. 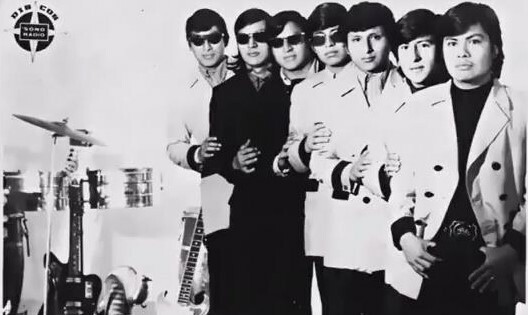 At a later point in their career Los Beta 5 started adding vocals to their songs as sung by Chango (Eugenio Chavez). As far as I can tell, Nelson died of a heart attack (year unknown), Reynaldo died of Parkinsons (year unknown), and German die of cardiac arrest. 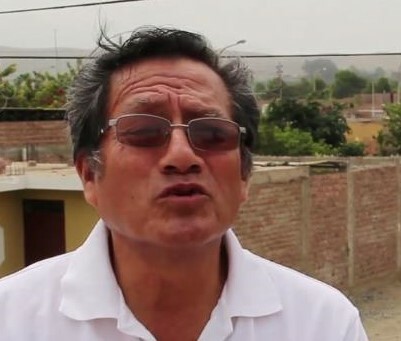 Juan lives in Callao and is the leader of his group KOMBINACION PERFECTA. Fernando’s whereabouts are unknown. Composed of the Chacòn brothers, Carlos and Arturo. Carlos played not only lead guitar but also led composition duties for the conjunto. Brother Arturo was also listed as author of a few tunes. I’ve sourced from Youtube videos that thier bassist was Guillermo Parra, congas, Alfredo Chavez, and on the guiro, Jose Ramos. Regardless of who was playing the guitar, Los Tic Tac provide some of the most high-energy cumbia sounds of any conjunto I’ve heard from the era. While lacking any sonic gimmickry popular with peers such as Los Orientales (either Maximo’s or Victor’s) or the fuzz sound of Aniceto Salazar, aside from some reverb here or there the group makes up for in spades with its creative arrangements and accomplished guitar work. Sophisticated riffing, with an oft solo that reveals the natural fluidity of a master guitarist. I’m currently trying to track either of the brothers down, but what I can glean from youtube comments is that Brother Carlos is in Brazil today. UPDATE 5/23/2017: What great fortune, the blog received a comment from none other than Carlos Chacon Paredes! He is currently in Sydney, Australia. Hopefully more updates to come! About two and a half hours north of Lima lies the Huara Province of Peru, birthplace to Aniceto Salazar. Born April 16 in Sayán (shown on the map above as the red marker). According to La Cumbia de Mis Viejos (LCDMV), Aniceto got his start in the music business like so many others when Enrique Delgado and the Destellos came to town. It’s really remarkable the blast radius Los Destellos set off in Peru to generate such a great wave of new music. In Salazar’s case Los Destellos were invited to play at the opening of a store owned in Sayán by a Japanese woman that knew Aniceto. The woman recommended to Enrique that Aniceto accompany them on stage, and he accepted. While Salazar likely enjoyed such limelight, he ultimately remained focused on his education. Aniceto sought admission to the National University of San Marcos to study accounting, but he was denied entry. That may be all the better for cumbia fans, as this led Aniceto to pursue his musical talents full time. He started out by playing in various local groups focusing on tropical sounds, before a promoter gave him his first opportunity to lay a single down for Polydor likely around 1970. Aniceto’s guitar tone and style always seem to be more rock leaning, with frantic solos often ending a track as it fades out. A pioneer in the distorted guitar sound in cumbia, making his cuts all the more desirable in my opinion. It’s a shame he never released a full LP. According to LCDMV & Sótano Beat, this individual — El Aguila — was a promoter by the last name Aguilar. Mr. Aguilar oversaw the early stage of Aniceto’s professional career and led to further 45 RPM cuts for Disco Ramirez and Virrey labels (two 45s and one, respectively). That was until Alberto Maravi came to visit Aniceto. Still at DINSA met with Salazar to try to lure him to record for DINSA, Salazar recalled that while he didn’t drive as flashy of a care as Senor Aguilar, DINSA pressed vinyl in a kalediscope of colors, and this was enough for him to change his recording affiliations. Maravi’s courting was a success and Aniceto would cut at least 10 singles for the DINSA label. The two are shown together below. As documented elsewhere on this blog, Alberto Maravi would ultimately leave DINSA to form the INFOPESA label, he brought many of the artists he developed, and Salazar was no exception. Aniceto also released a number of singles under various monikers including “Loretano Y Su Combo” and “Los Tahuamperos” his characteristic rock-leaning guitar gives away the true artist every time.Shown below is Salazar with one of the ubiquitous cover models for the DINSA series Hit Parade Tropical. Aniceto is still touring with his group today and is active on Facebook. He’s even still penning new tunes, as evidenced by a Chichaweb article. I haven’t heard the tunes yet and would love to know if they still sound like his golden-era tunes. One of my favorite Peruvian cumbia bands, the Ecos were founded and led by Edilberto “Beto” Cuestas Chacon (b: 1951). In 1970, heavily influenced by the Beatles, Beto, along with Warren Suarez, his brother Core formed the band “The Brians.” This pre-cursor band’s name was a tribute to the Beatles manager Brian Epstein. 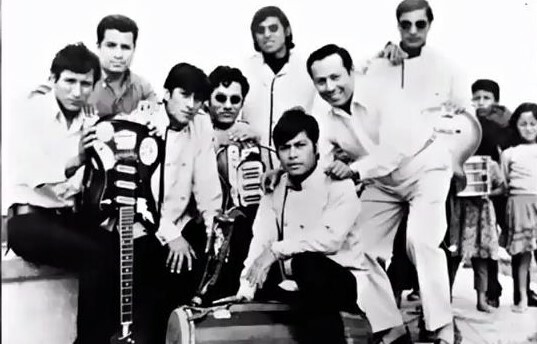 This initial formation of the band that would later become Los Ecos played covers in the nueva ola genre, which included bands like Los Doltons. At some point “Los Brians” had an interview with the label FTA, the label suggested they should change their name to something more “latin” and that the nueva ola sound was coming to its end, and as such the label didn’t sign the band as “Los Brians.” Not to be defeated Beto contacted the Canevello brothers, the founding members of Los Beta 5 (los beta cinco – my gringo friends) who had a label “CANPARD” (for Canevello Pardo the paternal/maternal last name of the brothers). It was on CANPARD that Los Ecos would release their first single “La Brujita” (the little witch) in 1971. Possibly recognizing that the band had followed the labels advice, FTA picked the band up going forward to release singles under the label. The first was “Jungla” y “Callejon de Huayllas.” The band would release a few more singles before recording their debut LP. On Ven Y Goza Esta Cumbia, their first LP for the FTA label, the Ecos also added their first vocal numbers, with vocalist Coco Martinez. Later, Coco, was replaced by Kiki Balarezo, shown singing below on Peru’s channel 7 program “Salsa Pura.” Around this time the band was also featured in the radio program “Show De Los Ecos” that aired at 7PM in Lima, further enhancing their growing popularity. Disenfranchised by FTAs failure to press sufficient quantities of their singles, which led to a lack of royalties for the band, Beto and his brother Core would go on to form the label Caracol (spanish for snail) in the late 70s. This new label provided them complete autonomy over the artistic and business directions of their groups and the groups they would later sign. Los Ecos are still active in 2016. 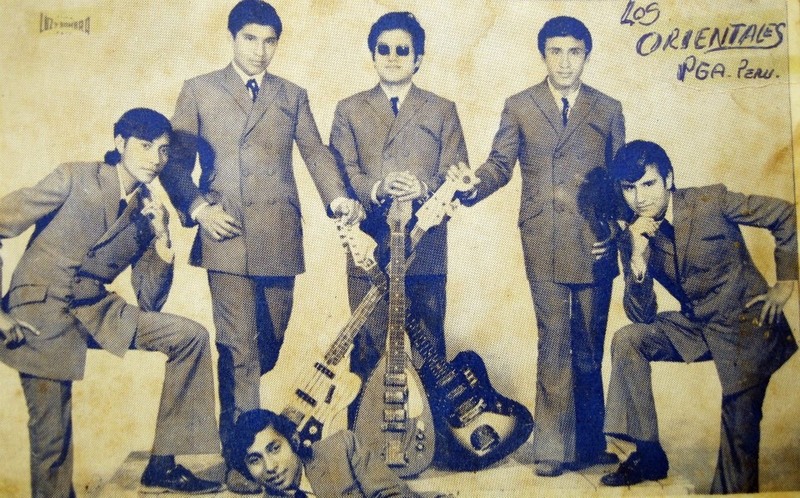 Led by the one-and-only Enrique Delgado Montes, Los Destellos are largely recognized as the founding-fathers (with EnDeMo the definitive father) of Peruvian guitar-driven cumbia. 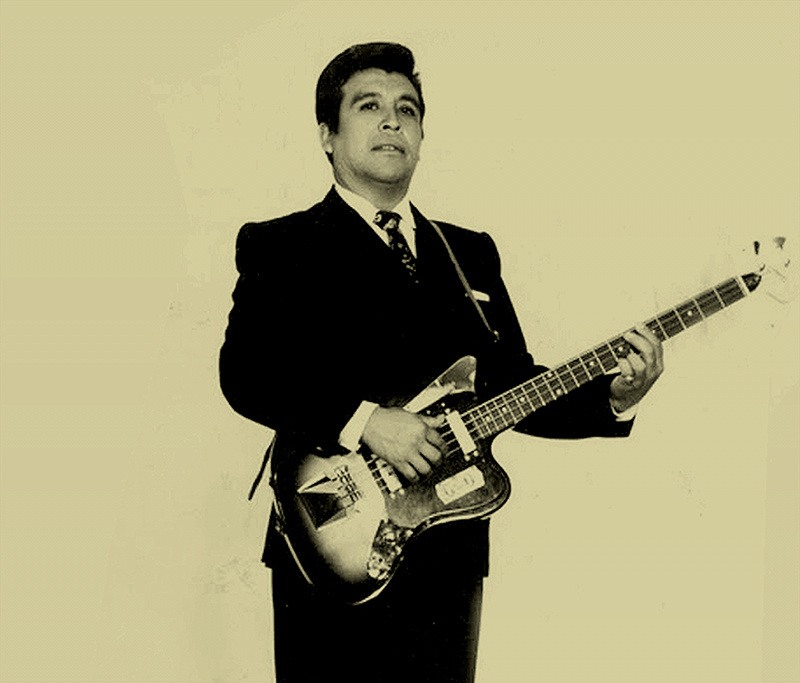 Both the man and the band serve as important bedrocks of Peruvian cumbia, so first we’ll learn a bit about Enrique before delving into the Destellos. Born in 1939, EnDeMo was a musical prodigy. At the age of 11 he was admitted to the Peruvian national Musical Conservatory. At 13 (!) he was under contract to play lead guitar for Criolla artists in Peru. After touring around with these groups and others, playing diverse genres of music, and rumored to have been disowned by his father for pursuing a career as a professional musician, he would go on to form Los Destellos. Urban legend in Peru states that just prior to forming Los Destellos, Enrique unsuccessfully attempted to join the rock band The Black Boys (later renamed Los Cuervos). Just before doing that though, in the mid-1960’s Enrique released a couple of nuvea ola/ “surf” type singles for SONO RADIO that signaled his transition from his criolla past towards a newer, more modern sound. 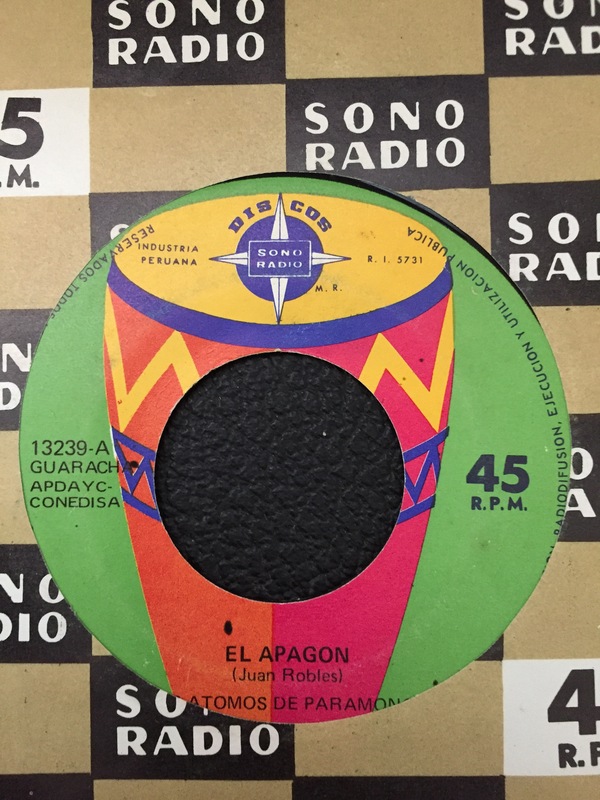 I’m aware of the transitional pre-Destellos singles of SONO RADIO 12316 (A: Mentias (guaracha)/B: Asi Te Quiero (Bolero)) released under the banner “Enrique Delgado Y Sus Hits,” as well as another under the moniker “Enrique Delgado Y Sus Amigos.” (SONO RADIO 12387; A-side: Espero Una Carta/B-side shown below). Ready to attempt his idea at a new sound Enrique sought out to form his new group around 1966. 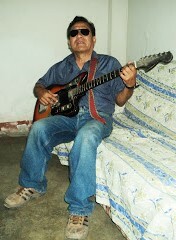 He knew Humberto “Tito” Caycho from his youth, as Tito also played guitar in criolla bands. Carlos Ramírez Bazo (also seen spelled Vaso) was an old friend of Enrique who had played percussion in various military bands. Fernando Quiroz was introduced to Enrique by a journalist after his band Los Zany’s failed. More in the rock category than tropical/criolla, legend has it that Quiroz was less than enthusiastic about such a genre change; however, once he heard Don Delgado play, he knew he wanted in. It’s believed that the first album’s percussion is actually that of studio extras. On the self-titled debut all songs are credited to Enrique. EnDeMo, probably about 30 years old here, pictured in the rare instance without his glasses on. A few of the band’s albums actually list the players. En Orbita lists the group as, aside from Enrique, Fernando Quiroz (2nd Guitar), Tito Caycho (Bass), Eduardo Rivera Palomino (Drummer) and Rodolfo Casaretto (Congas/Tumbador). The last album I own with band members named is, one of my favorites Destellantes. This album provides the leader and first guitar as Enrique Delgado, second guitar Fernando Quiroz, Contrabajo Humberto Caycho, Timbaleta Cesar Arias, Tumba Ricardo Oliver, Clave Oscar Yong and Huiro Y Cantante as Oswaldo “Guajiro” Ortega. I will eventually start to post album reviews, but what I will say about the music for now is that it is an innovative mix of old and new (for the ’60s) sounds. While starting out exclusively as an instrumental group, vocalists were eventually folded in for a few tracks here and there on the latter albums. At some point the group started recording under a pseudonym “Los Casmenos” on Rey Records. This was likely due to contractual obligations which prevented them from recording under the Los Destellos name. They recoreded a few latin standards on this label, as well as rerecording some of Los Destellos songs. You’ll see Enrique credited often as EnDeMo on these Rey Records releases (perhaps to obscure the contractual issue?). Of the three core members, sadly Enrique died ahead of his time in March of 1996 at the age of 57, survived by his spouse who continued the band under her name. Tito Caycho died February 1, 2016 at the age of 84 in Iquitos. It is believed that Fernando is still alive, reports of him pulling a gun and robbing his daughter (!) surfaced in Peruvian media in June of 2015. Formed in Paramonga, Peru (about a three and a half hour drive northwest of Lima), by students of Colegio Miguel Grau De Paramonga. The initial lineup likely consisted of Maximo Chavez, who couldn’t read music and was a self-taught guitarist, on lead, Jose “Huachito” Castillo on bass, it’s unclear if either Victor Ramirez or Jamie Silva initially played rhythm guitar, Daniel Guillen likely played the drums (i.e., timbalero), Manuel Chirboga played the percussion (i.e., the huiro) and Manuel “Cote” Duplex Dextre played the congas. Early images of the band also show Victor “Yuyo” Ruiz. In this photo appears to be Maximo at left with Jose Castillo on bass (2nd from right) and Daniel Guillen on drums. 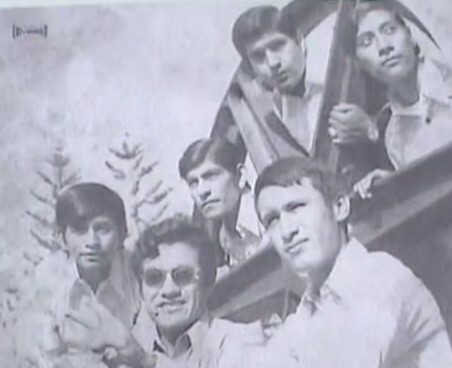 All of these young men were active in the Paramonga music scene, and some may have even formed a part of Los Palmers (potentially an early line up of the Orientales) that played more of a “beat” rock sound part of the nueva ola sound that was popular at the time. It is known that “Cote” Duplex actually played in the Paramongian band “Los Yeltons” that would later release a few cuts on the label INFOPESA (which wasn’t formed until 1971). Maxmio has stated that the band was influenced to go in the instrumental, guitar-driven cumbia direction after hearing Enrique Delgado and his Destellos perform.When asked how he came to utilize the wah-wah effect, Maxmio recounted that he was influenced after hearing Agusto Lucho Y Los Satelites, which also used the effect. Maximo went into Lima after hearing it to buy the effect pedal. Rumored to have officially formed as the Orientales in 1968, it wasn’t until 1970, or shortly there before,that the band’s sound caught the ear of Alberto Maravi, who at the time would have been an executive at the DINSA label. The band went into the studio to record their first single in 1970. Maximo was partial to the cut “La Carcocha” which he selected for the A-side. However, it was the B-side, the well known “Lobos Al Escape” that would rocket the group to notoriety. This song with its iconic wah-wah (gua-gua) sound would go on to sell thousands of copies. With this new found notoriety also came the need to tour. When Maravi approached Maximo a bout a 30 day tour of Colombia, the label executive was likely frustrated to learn that the majority of the band’s members were minors (probably about 16/17 years old at the time), and would require parental permission to tour abroad. Likely less than enthusiastic about sending their children to a foreign country to perform “rock” concerts, the parents did not consent. Not to be undone, Maravi proposed a solution, Maximo, likely at least five years senior than the others, would go with Paco Zambrano’s band the Ratones under the banner of the Orientales. The tour was such a success it was extended for an additional 15 days. 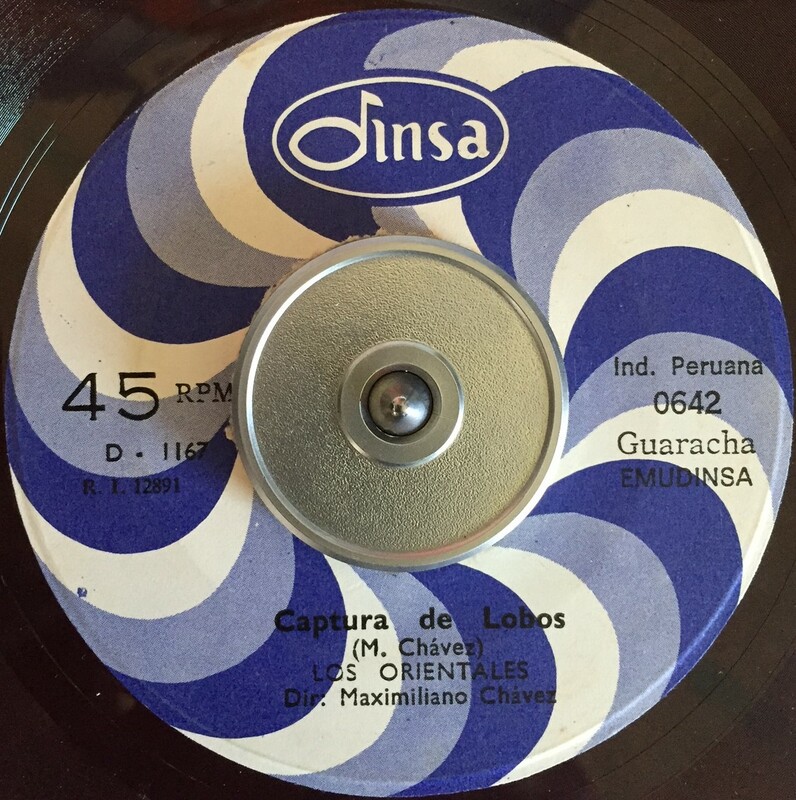 Upon return to Peru the Orientales would go on to receive a Disco De Oro (Gold Record) from Colombia, in addition to awards in Peru, Mexico and Venezuela. Things start to get interesting (and sadly for fans of the group, unclear) around 1971. We know that Maravi founded INFOPESA records in February of 1971 after breaking with his former partner Jorge Botteri at DINSA. Likely Maximo’s Orientales were under contract with DINSA so they continued to release singles on the label even after Maravi left to INFOPESA. Interestingly, the DINSA LP likely had to be released in at least 1972, as on the back cover is advertised Willie Colon’s “El Juicio” LP which wasn’t released (at least in the U.S.) until 1972. Maravi did write the liner notes for the back of the group’s DINSA LP. L-R: [Unkown – might be Tono Argomedo], Maximo, [Unkown -seated], Cote, Jose, Jaime. This picture was taken outside a sugar factory in Paramonga, Peru. 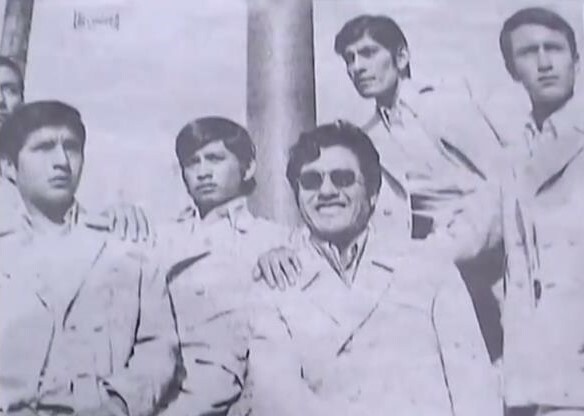 In it we see (from left to right) Ray Ramirez, Ernesto Robles (the group’s agent), Demetrio Rojas (credited on the first SONO RADIO LP as Victor), Maximo Chavez, Evert Rosales, Manuel Rea, Alberto Maravi (INFOPESA head), and Victor Ramirez. One possibility is that this group was set to record for INFOPESA, however after acquiring the rights in mid-1971, Victor Ramirez shopped the group around and possibly received a more lucrative deal from SONO RADIO. Along the way he likely burned a bridge with Maximo and Alberto Maravi. We do also know that Victor registered with the Peru’s writers union in late August of 1971, so anything he registered his author’s rights with an APDAYC (One of Peru’s copyright societys, similar to ASCAP in the USA) stamp would have been at or after this date. Going forward to keep things straight I’ll refer to the Orientales as either Victor’s or Maximo’s. L-R: Jaime, Cote Duplex, [unkown], Maximo, Daniel, Jose. L-R: Jaime, Jose, Maximo, Cote. Taken in front of the “Guest House of Paramonga” or as it was also known “La Casa De Las Brujas” (house of the witches). Around this same time Maximo recorded under the name “Macuito” for INFOPESA. This was perhaps precipitated by a falling out between Victor Ramirez and Maximo, as well as Maximo’s contractual obligations to DINSA which would have precluded using the name Los Orientales to record for INFOPESA at the time. The above photo was likely a press kit for Victor’s newly formed Orientales. Curiously in the above photo there are seven players, given the sunglasses on the left four it complicates trying to identify who is who, but I’m fairly certain there is no Maximo in this photo (who is usually identifiable by his wavy hair). Victor’s Orientales would release their first LP on SONO RADIO in 1972. That LP had 11 original songs, with a loose cover of El Gran Combo’s A-CHI-LI-PU. Prior to that LP however, Victor’s Orientales released five singles (at least five which didn’t include any songs that would appear on the first LP). 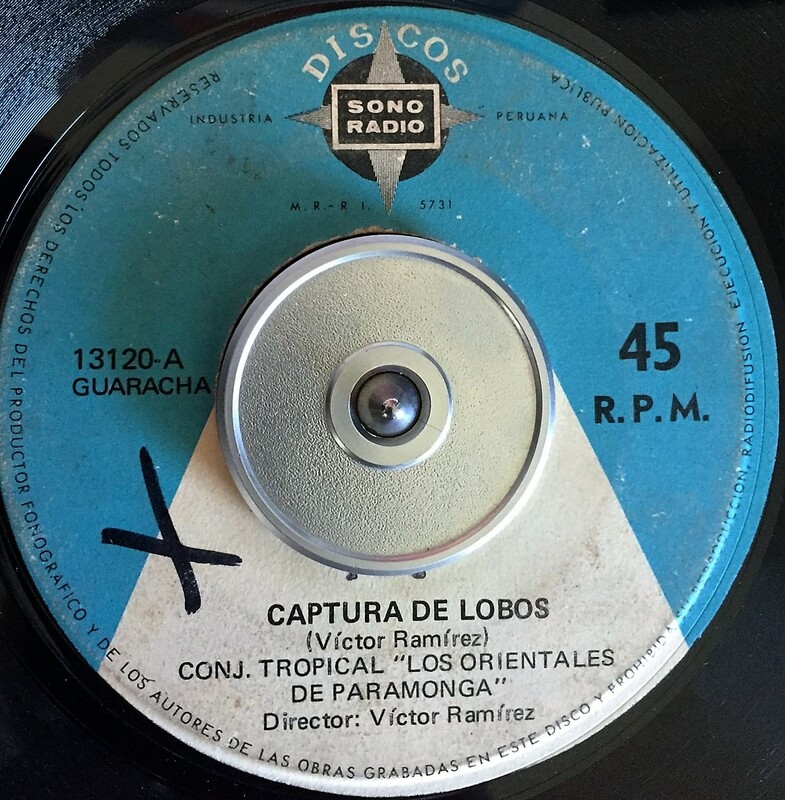 Most curiously the first A-side of Victor’s Orientales was “Captura de Lobos” credited to Victor Ramirez (SONO RADIO 13120). “Captura de Lobos” was also released on DINSA (0642), credited to M. Chavez. It’s unclear who actually penned the tune, from a copyright/legal perspective they’re very similar sounding, and for what it’s worth, when Victor released his track, technically it’s credited to a band called (ready for this) “Conjunto Tropical Los Orientales De Paramonga” whereas Maxmio’s on DINSA is associated with a band called “Los Orientales.” This may make a difference for the intellectual property lawyers out there, as to whether these two can exist amongst one another legally. Sometime after Victor’s Orientales started putting out music for SONO RADIO, and possibly after both groups had released their first long plays in 1972, Maximo’s Orientales responded with a single “El Dragon.” El Dragon is a great song, but for purposes of this article the really interesting aspect of that single is the B-Side, “Yo Soy Orientale.” This song’s refrain, translated is “listen to my guajira, authentic orientales.” It seems this song was a response to the tension between the groups, declaring themselves to be the authentic/original Orientales de Paramonga. The song goes on to introduce the members of the conjunto playing on the LP. I can only make out the introductions of Maximo, Jaime, Jose, (stated to be playing la viola — Peruvian slang for guitars) and Cote (la tumba i.e., congas). It sounds like “Tonito” (Ancineto?) is introduced to be playing the drums (baleta). I can’t make out the huiro player’s name. Likely around this time the original DINSA contract for Los Orientales de Paramonga may have expired. At least eleven singles were released by Maximo’s group on DINSA. Then sometime in 1974, coincidentally it appears both groups (Victor’s and Maximo’s) released second LPs. This time Maximo recorded under the INFOPESA label, while Victor’s group continued on SONO RADIO. The liner notes on Fiesta En Oriente, Maximo’s INFOPESA release, again asserts that they are the “authentic” orientales. The group that played on this album is pictured below. Aside from the single that was released along with this album, which strangely indicates it was licensed from Puerto Rican label Borinquen (still legal issues with the band’s naming rights? ), this LP marked the end of Maximo’s run with INFOPESA. As far as I am aware he recorded one more single for the label CASINO, the B-side of which was lamentably titled “Tristeza” (i.e., sadness). Maximo went on to drive a mototaxi in Paramonga, which was ultimately the cause of his death in May of 2012. He suffered a tramautic brain injury when his mototaxi collided with another mototaxi driven by a 15 year old who had no registration. He was 65. Victor’s group continued recording, they released two more singles on SONO RADIO as well as a mini LP for that label. 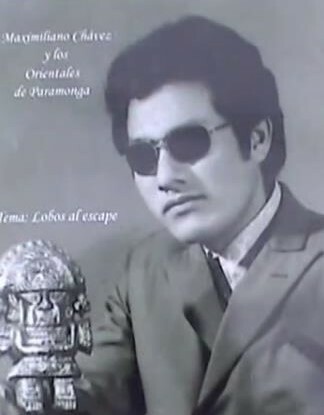 Victor went on even further to record under the “Orientales” moniker for both the DIFA label as well as the well known cumbia/chicha label HOROSCOPO well into the 1980s. Victor appears to now live in Italy. As to the other members of the group, apparently Cote has a radio show. 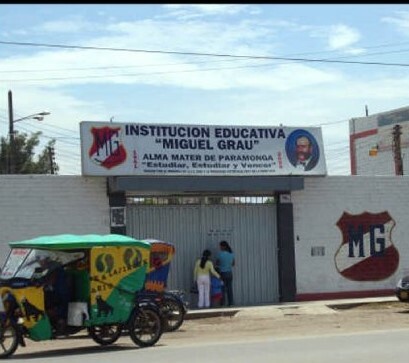 I believe Jaime Silva is a teacher in Paramonga. Daniel was interviewed in a short doc on youtube, but it’s unclear what he’s up to these days. ¡Si usted tiene cualquier información sobre Los Orientales de Victor o sobre el conjunto Orientales de Maximo, por favor entre el contacto conmigo!